If you've been reading along with me for a bit, you already know that I am a huge fan of Charley Harper's unique artistic style and his minimalistic animal illustrations. 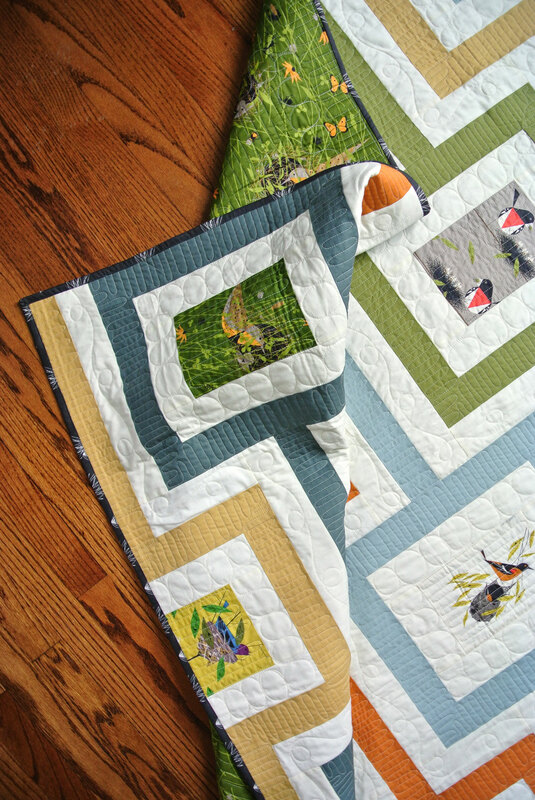 You may have also already sewn my last Charley Harper inspired quilt, Bird Watching. This Cincinnati quilt pattern that I'm bringing you today, offers more insight into the man behind the artwork. 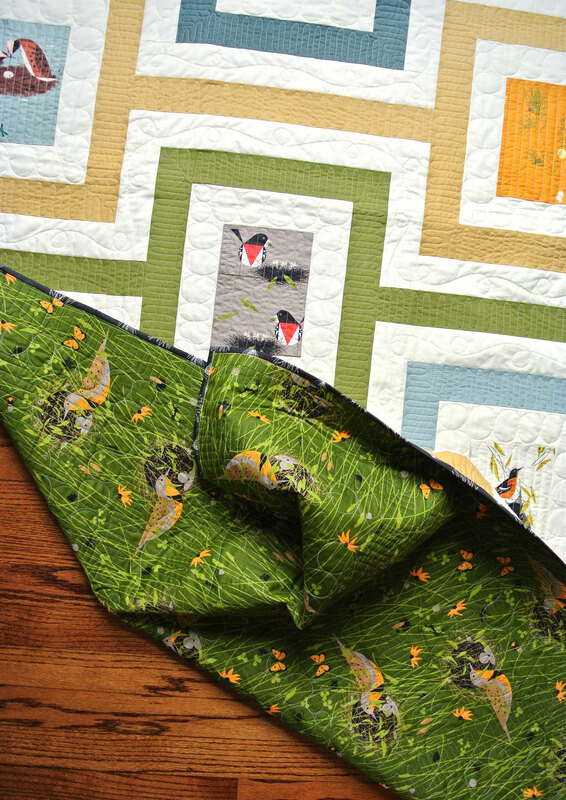 Each quilt block creates a frame, or a window, if you will, to showcase the individual bird illustrations. In my previous CH post I briefly brushed over a few facts about him – one being that he spent the majority of his life living in Cincinnati. Harper's early years living on a farm in West Virginia were incredibly influential, however it wasn't until he moved to Ohio and began attending the Art Academy of Cincinnati that his skills as an illustrator truly began to flourish. Also while at the academy, Harper became close friends with a fellow art student, Edie McKee, whom he married shortly after graduation in 1947. He saw Edie as a peer and partner in creating art and together, with their son Brett, they eventually formed Harper Studios. As a nature artist, Harper saw the forests and creatures of Ohio as his true inspiration and guide. During his long career as an artist (over 50 years! ), he placed his stamp on Cincinnati by illustrating animals for many nature-based organizations including the Cincinnati Zoo, the Cincinnati Nature Center, the Hamilton County Part District (Ohio) as well as multiple posters and prints for the National Park District. When I look at a wildlife ..., I don't see the feathers in the wings, I just count the wings. I see exciting shapes, color combinations, patterns, textures, fascinating behavior and endless possibilities for making interesting pictures. I regard the picture as an ecosystem in which all the elements are interrelated, interdependent, perfectly balanced...; and herein lies the lure of the painting; in a world of chaos, the picture is one small rectangle in which the artist can create an ordered universe. With this Cincinnati quilt pattern, I've created multiple small rectangles for Harper's ordered universe. 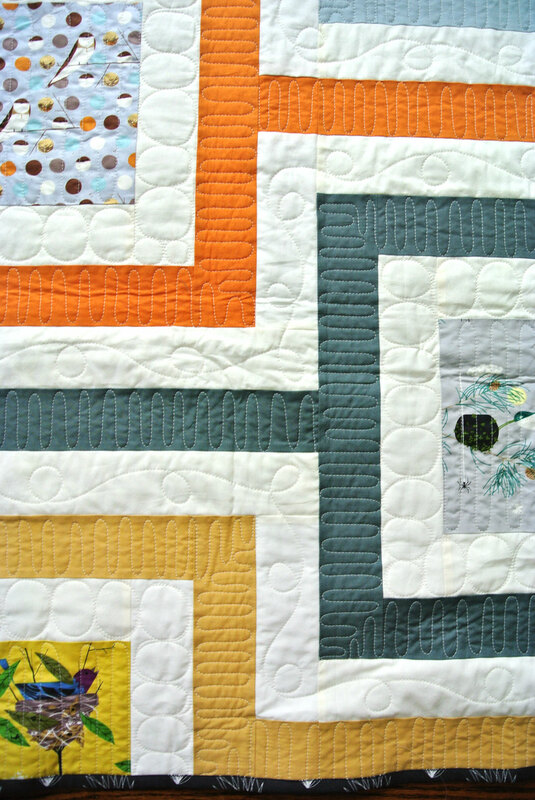 With exciting shapes, color combinations and quilted textures, you too can recreate this design – using just a few strips and lots of imagination! 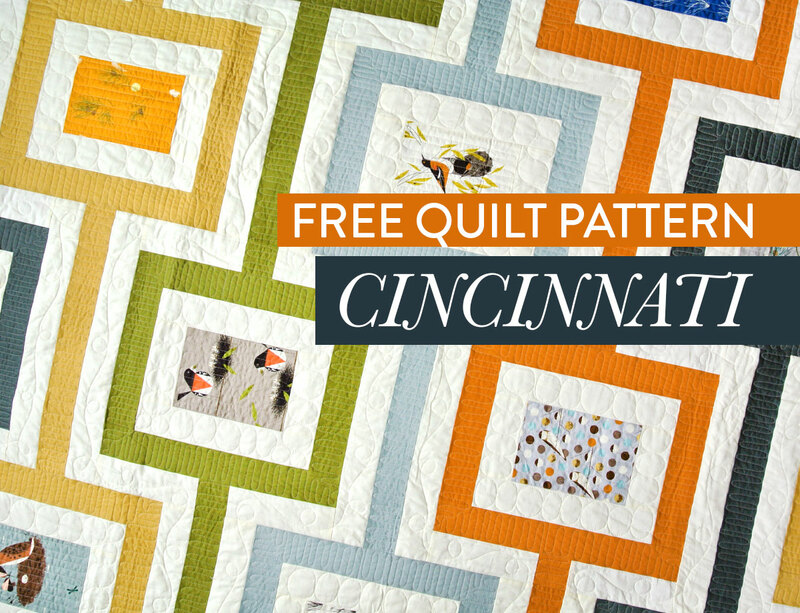 Get the FREE Cincinnati quilt pattern download here! 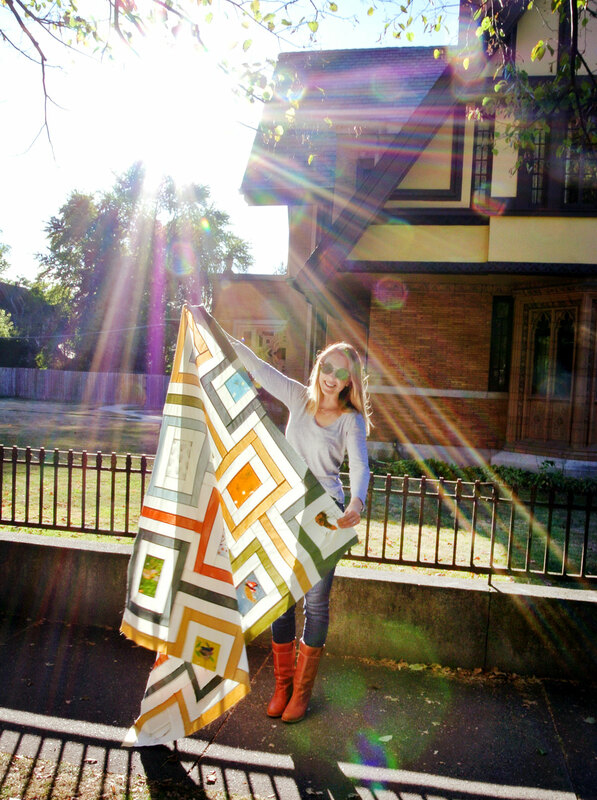 You can purchase the fabric used in this Cincinnati quilt here at fabricworm.com. Sounds wonderful! Can’t wait to see it. THank you so much Suzy. Happy birthday! Happy Birthday! Enjoy the evening with your husband. I sent you a reply to your email. thank you for the Charley Harper pattern. I didn’t know what to do with some of his postcard=sized prints. 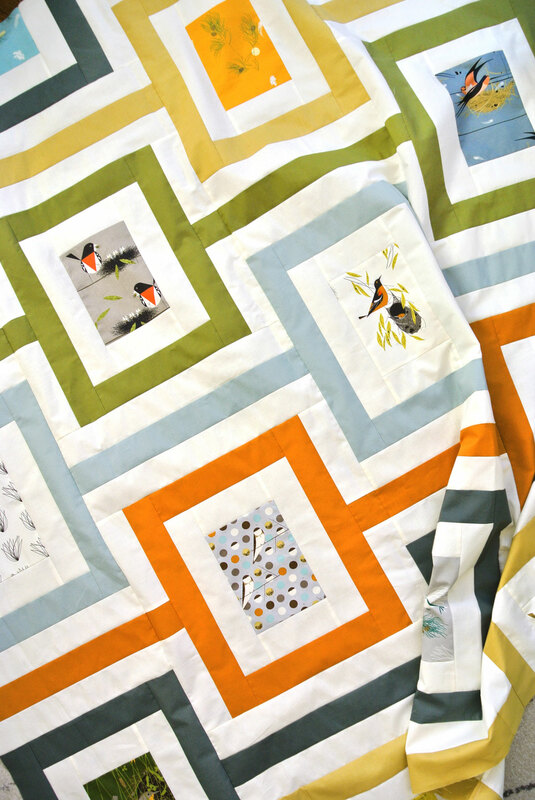 I just found your blog and discovered we share a love of Charlie Harper! I made three quilts with the Maritime Collection and would like to send you pics. What a gorgeous quilt and beautiful selection of fabrics. Considering this for some Japanese fabrics of mine–fish, flora, other fauna. Thank you for posting. I have this kit and have it all washed and ready to go. I have a hard time cutting nice straight lines over and over. And I have a hard time sewing all those pieces perfectly. Would you ever suggest some best press to firm up the pieces before cutting and sewing? I love this so hard! I live near, and work in, Cincinnati, and own a couple of signed Charley Harper posters, my mother has a few prints, so I have a feeling I know what I’ll make her for Christmas this year. I love the bear quilt. Where can I get the pattern? The bear quilt? Is that a Charley Harper quilt you saw somewhere? Thank you for the Cincinnati quilt. I am born and raised in Cincinnati so love love love Charley Harper! This will be on my to do list. I have done one improve CH quilt already. Thank you so much for this pattern, Suzy. Happy birthday! Thank you so much for this pattern, Suzy. I love your you “Cincinnati” quilt, but I especially love the backing you chose for it. Is that a fabric that is still available somewhere? Love, love, love the whole quilt! It looks like currently you can still find it at fabric.com.